Praxis training exceeds OSHA Qualified Electrical Worker (QEW) requirements on High Voltage & Low Voltage systems. All our trainers are Journeymen Linemen or Master Electricians and our training is customized to your specific needs. Praxis has performed arc-flash hazard analysison electrical systems ranging from 500KV substations, to 208 volt power panels in commercial buildings. We have special skills in modeling Renewable Power facilities, such as wind farms and solar farms. 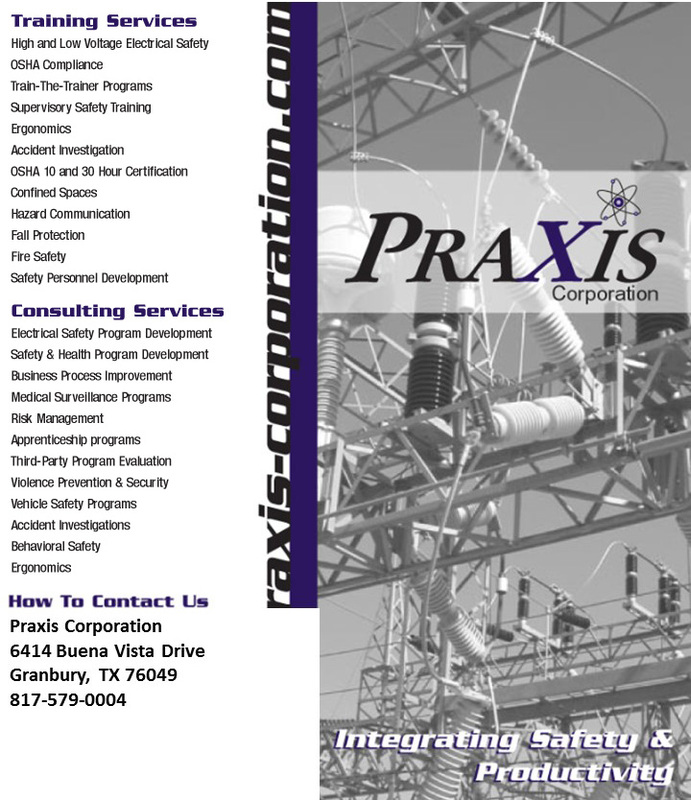 Praxis Corporation is a company that assists organizations in protecting employees from electrical hazards through the integration of Electrical Engineering and Electrical Safety Training. We specialize in customizing all our services to the precise needs of our customers. Our goal is to assist your organization to produce your products with a minimum-level of risk to your employees. Contact Praxis to discuss how we may assist you in providing a safe work place for your employees.